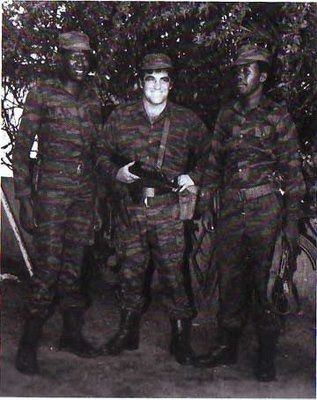 Ronnie Kasrils, Soviet trained former South African cabinet minister has joined the anti Israel "Apartheid" movement. ``With that moral advantage, on the basis of a just liberation struggle, we learnt the secret of Vietnam’s victory and strategies according to what we termed our `four pillars of struggle': political mass struggle; reinforced by armed struggle; clandestine underground struggle; and international solidarity." "But unquestioningly, what helped tip the balance, in Vietnam and South Africa, was the force and power of international solidarity action. It took some 30 years but the worldwide anti-apartheid movements and campaigns -- launched in London in 1959 -- for boycotts, divestment and sanctions not only provided international activists with a practical role, but became an incalculable factor in (a) isolating and weakening the apartheid regime, (b) inspiring the struggling people, (c) undermining the resolve of those states that supported and benefited from relations with apartheid South Africa, (d) generated a change of attitude amongst the South African white public generally, and political, business, professional, academic, religious and sporting associations in particular. ``Boycotts made them feel the pinch in their pocket and their polecat status everywhere -- whether on the sporting fields, at academic or business conventions, in the world of theatre and the arts -- they were totally shunned like biblical lepers. There was literally no place to hide from universal condemnation backed by decisive and relentless action which in time became more and more creative."